Toshiya Watanabe is a Fukushima native. 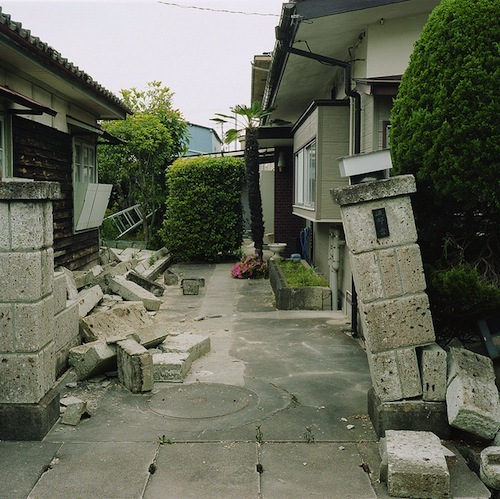 After the big earthquake on 11 March 2011 causing the worst nuclear accident in the history of nuclear power, the government of Japan ordered its residents to leave their houses and apartments. 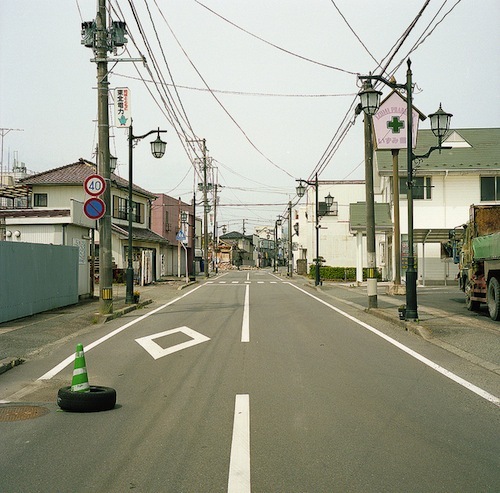 Since then, Watanabe has traveled back to his abandoned hometown many times, documenting the changes he saw, or lack thereof. He also went back to his parent’s house, which was within the restricted area to pick up his family album that was full of good old memories. During this visit, he took these pictures. You should also have a look at his Flickr photostream. »Tsunami-hit area«, 3 months later, Nuclear Evacuation Zone, 6 km from Fukushima Daiichi Nuclear Power Plant. 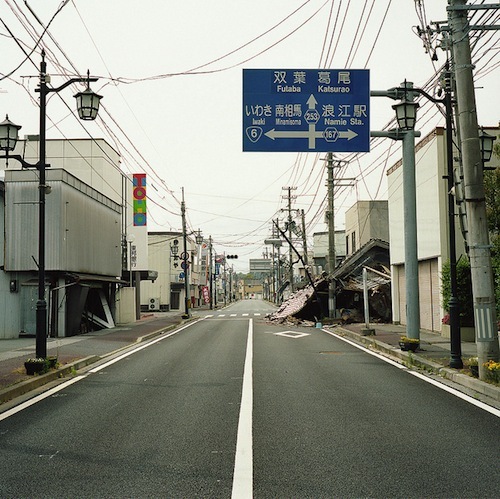 »Main street of Namie (Nothing changes for four months)«, 7 months later, 8 km from Fukushima Daiichi Nuclear Power Plant. , 10. Juni 2012, 8 km from Fukushima Daiichi Nuclear Power Plant. 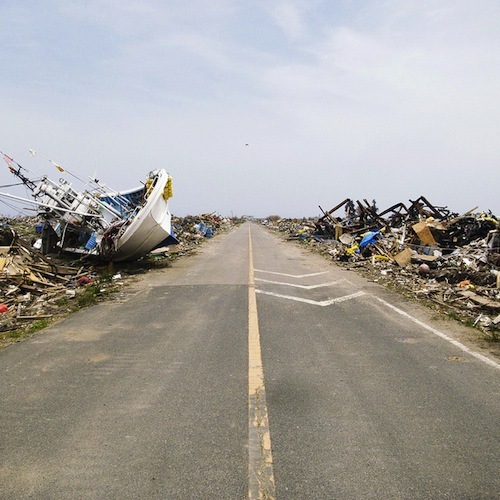 »Main street of Namie«, 7 months later, 8 km from Fukushima Daiichi Nuclear Power Plant. 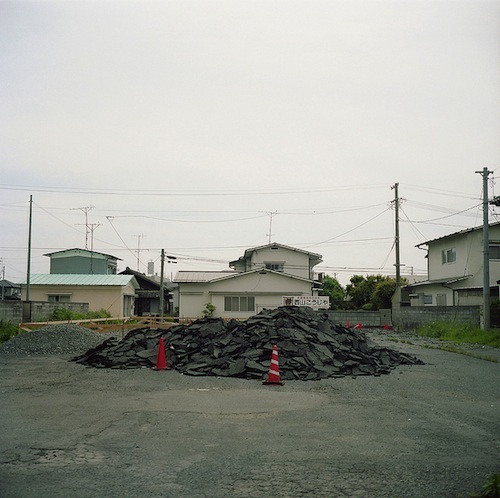 Nuclear Evacuation Zone, 3 months later, 8 km from Fukushima Daiichi Nuclear Power Plant. 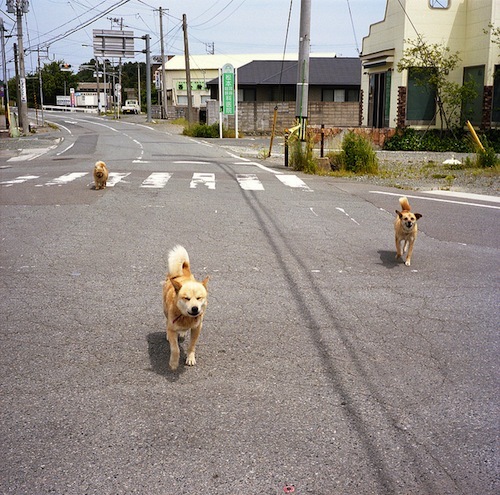 »Abandoned dogs«, 3 months later, Nuclear Evacuation Zone, 9 km from Fukushima Daiichi Nuclear Power Plant.